Prominent & Leading Manufacturer from Hyderabad, we offer drum lifters for petroleum industry. We hold expertise in offering a qualitative range of Drum Lifters for Petroleum Industry. These are engineered from high quality metals and following international industrial standards. Demands of these devices are increasing owing to its rugged construction, accurate dimensions and longer functional life. We ensure uninterrupted performance and high functional efficiency of these devices. 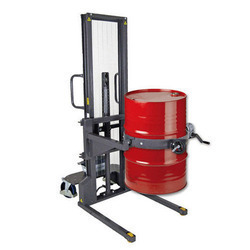 Looking for Drum Lifters for Petroleum Industry ?